The New Pope of Italy, Pope Francis, visited the Santa Maria Maggiore church in Rome on 17th April, 2013 before celebrating the first Mass in the Sistine Chapel, the official residence of the Pope in the Vatican City of Italy. If you too have a fancy to travel to Rome this vacation, I’ve summed up some of my most favorite, not-too-touristy, gems of Rome. I am sure first time visitors shouldn’t miss the chance to visit the Colosseum, Trevi Fountain, Pantheon & the likes. But I am here to make sure that you have something more, something exclusive to brag about to your friends & family. A Rome they have never known! This baroque style architecture is famous for its magnificent ceiling frescoes. The structure is one of the finest examples of illusion in the world. Most of the decor objects seems like 3D images and some are bestowed with additional effect given by the architectures. Walk towards the top most part of the building and try if you can find out the ‘fix’ done by the architects when the donors withdrew their contribution. I assume you would be planning to visit the Chigi Chapel to explore the splendid artworks of the legendary Italian Renaissance artists. 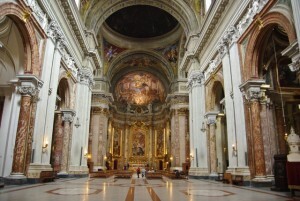 Then you should make way to the Santa Maria della Pace. The opening hour of this spectacular church varies based on the availability of the guardian. 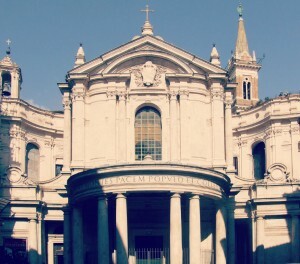 When the next time you visit this church and find the doors closed, head to the Chiostro del Bramante located just next to the church. The abbey is one of the best of its kind in the world and a great source of inspiration for the artists. Walk towards the lounge of the second-floor, next to the cafe, you will see a window that gaze at the church and picture Raphael’s fresco. Can you name any other place where you can watch Raphael’s masterpieces with a cup of coffee or a cocktail in hand? 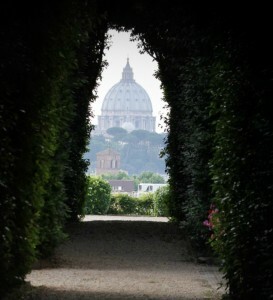 Also known as the Parco Savello, Giardino degli Aranci is a picturesque park nestled on the Aventine hills. The place exhibits incredibly beautiful views of the city. But, there is something more that makes it a trump card of the city; an abbey down the street is connected to the Knights of Malta. Now, I don’t wish to kill the surprise element entirely, but here you will get a glimpse of three different countries together while looking through the keyhole of the front door! No tour to Rome is complete without tasting the very famous gelato. Located down a dead-end side of the street right after Pizza Navona is the Gelateria del Teatro is one of the best places to have gelato in Italy. Here, they use only the fresh and pure ingredients. Wait for the newest batch of gelatos if you want to taste the freshest of this Italian ice-cream. Exploring some of the most popular museums of Rome is worth considering while holidaying in the city. However, the historically rich city also boasts of some not-so-famous museums that exhibit some unparalleled works of art and history; Palazzo Incontro is one of them. With the passage of time, the place has been transformed into apartments and today the space is used to hold different events. However, the originality is still kept intact and you can experience it as you walk to the second and third floors. 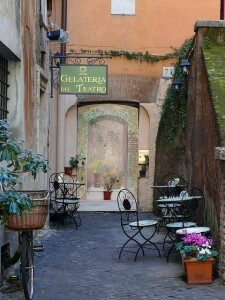 Exploring Rome is an enriching experience in itself. Didn’t we feel that happening to Liz Gilbert in Eat Pray Love? Pack your bags as Rome awaits you! Sophie Wilson is working in the Travel & the Tourism Industry since 5 years and is lucky enough to get to travel a lot. She loves to write about every one of those weird, unusual and beautiful experiences. You can visit her website http://www.getacarhire.com for cheap car rentals in over 1000 locations worldwide.